Festa do Maio means literally May Festival, celebrating the fact that Spring is truly under way and Summer is coming! 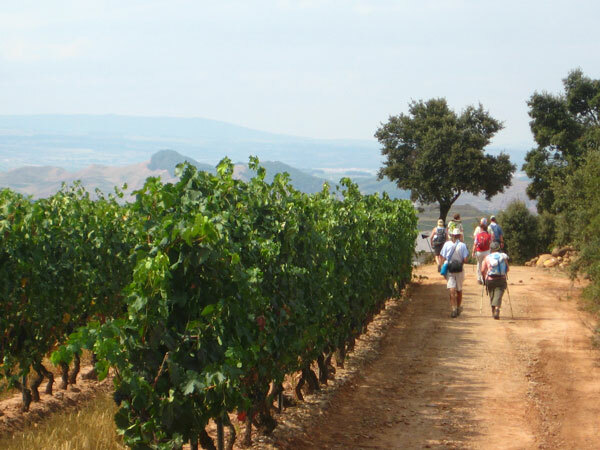 It takes place on 1st May (and the eve of 1st May) in Villafranca del Bierzo and many other towns along the many Camino routes. 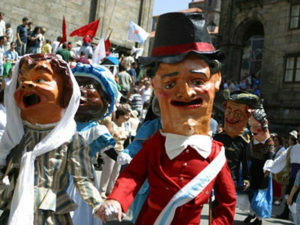 There are similar 1st of May celebrations in Ourense (Vía de la Plata) and Pontevedra (Portuguese Way). Across France, lilies are brought and given to loved ones on 1st of May. The town of Jaca, on the Arles Way (Via Tolosana) celebrates the arrival of May the first Friday of the month. On 4th May, the coastal village of San Vicente de la Barquera, in Cantabria, along the Northern Way, pays homage to its marine heritage with the La Folía festival. Folk music day and general traditional music entertainment in the San Pedro neighbourhood of Santiago de Compostela in late May. 17th May is a very special holiday in Galicia. Today, Galicians celebrate their language and writers. The date, 17th May, commemorates the publication of Cantares gallegos (1863), written by Rosalía de Castro, Galicia’s most important poet. Each year, 17th May is dedicated to a different author. 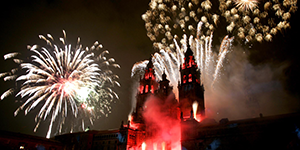 There are two main local festivities in Santiago de Compostela, one of them being the Festas da Ascensión in late May, the other being the Feast of Saint James in July. Street entertainment (including the children’s favourites, the ‘cabezudos’ or ‘big heads’), concerts and many other cultural events take place around the city for a whole week, so if you are in Santiago around these dates, you are in for a very special treat. The Ascension Festival starts on 28th May 2014. Oviedo, where the Northern Way and the Original Way meet, also celebrates its own Ascensión festivities. Plenty of tricks and laughs in Lugo for its international Magicians Week. Festival in Dalí’s hometown, Figueres in Catalonia, taking place in the first week of May to celebrate Santa Creu (3rd May). Also along the Jaume Way, you’ll find the ‘flower season’ festival in the city of Girona and Sant Anastasi in Lleida, one of the biggest festivals in this pretty Catalan city. 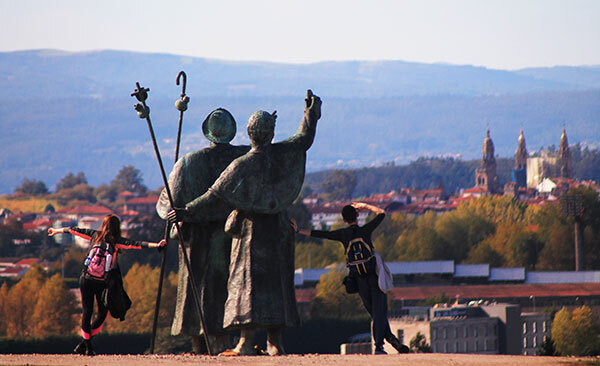 If you would like more information and to book your Camino de Santiago holiday, contact the CaminoWays.com travel specialists.